Sparks native Bret Stephenson, an author of three books looking into high risk teenagers, used to work in the golf industry in Hawaii, but then got what he calls “white man’s guilt” and decided to turn his attention to troubled boys. He has a Master’s degree in Transpersonal psychology which he says really fits studying “crazy teenage boys.” Photo and reporting by Prince Nesta for Our Town Reno. Stephenson started working in California with so-called incorrigible kids in the late 1980s, where he says his eyes were opened wide and clear about some of the inadequacies of the American youth social system, and the subsequent rampant homelessness it creates. “In America, we don't do much of the prevention and then we end up spending more money, incarcerating and locking people up… I learned that we were never going to solve the homeless problem until we learned what caused it… Prevention has always been better than treatment so most of my life I’ve been trying to convince people to prevent,” he explained during a recent meeting at a local coffee shop. His first book can be found here on Amazon. "From Boys to Men is about the loss of initiation and rites of passage for modern boys," Stephenson said. "Men are just forms of uninitiated boys and the problem we are having right now such as the increase of deadbeat dads is that none of us has been initiated. America turns you from a boy into an adult with a birthday at 21. And you get all the rights and privileges of a society." Stephenson's own work, research and books have focused specifically on males. Stephenson has worked over a decade with the Minden-based Rite of Passage organization. Their website can be found here. Stephenson's own interactions have been filled with heartbreak and loss. Each situation is different but there are many common traits to the most dangerous journeys for troubled boys and young men. He says success is hard to define, but turnarounds do happen. "The second book I wrote is called The Undercurrents of Adolescence and I was trying to figure out how we got so much delinquency. So, I was figuring out how did we go from no teen problems to leading the world in five generations. So, I broke it down by decades societally what’s going on and then to make it fun, every decade I used a movie to explain the changes in society and technology in the U.S."
He says parents should pay close attention to their child's adolescent years and their behavior during this time. "The third book I wrote is more of a philosophical one. 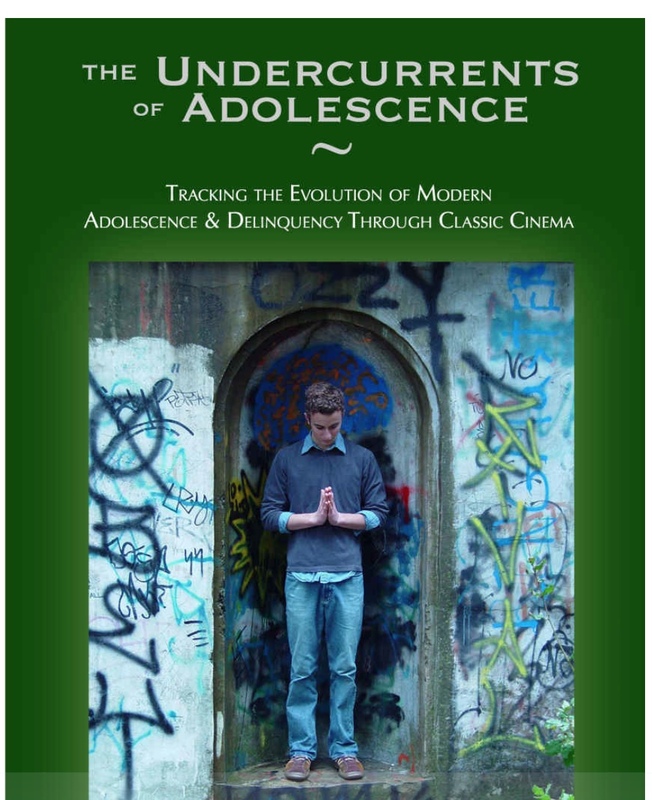 It looks at modern adolescent discontent and America's shallow approach to teens." It can be found here on Amazon.